Often it happens that product once developed is over looked and its maintenance is not considered as an important factor. But even the websites once developed needs maintenance so that it can always look fresh with the updated data or the products or the designs or the content etc. 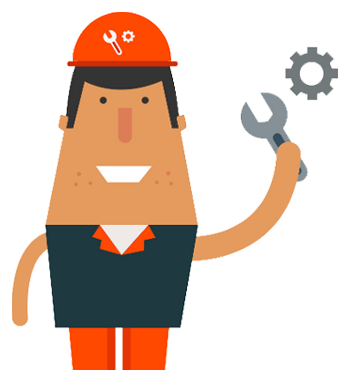 So website maintenance is the best way to keep the website up to date and in perfect shape within the minimum budget. There are number of reasons to for the maintenance of the website. With change in technologies and upgradations in it, website will begin to look and seem to be old if not maintained properly. If any of the rules or policies or prices change took place in the business like new products or increase or decrease in price list and will not maintain properly than website will not remain informative. Some links to be changed that is some new links are added and old are removed. For higher ranking in search engine listing as its rules are changed very often. Fresh information ensures users to follow or user your site for updated information. Website maintenance may be or may not be in the hands of clients. We at Quad SoftTech offer all the web site maintenance services to our clients to assure them for the best service for their website and ensure them for the both short and long term progress of their program. So our clients will have best quality services with a high degree of satisfaction and a true professional touch to their business.